Last Friday was our monthly demonstrator meeting. 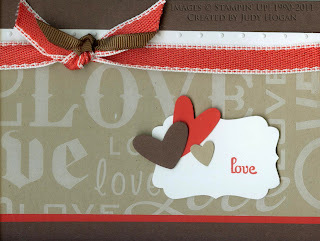 Judy Hogan made this lovely Valentine's Day card using the Lots of Love Letterpress plate. She used Whisper White craft ink on the letterpress plate and ran it through the Big Shot with Crumb Cake card stock. 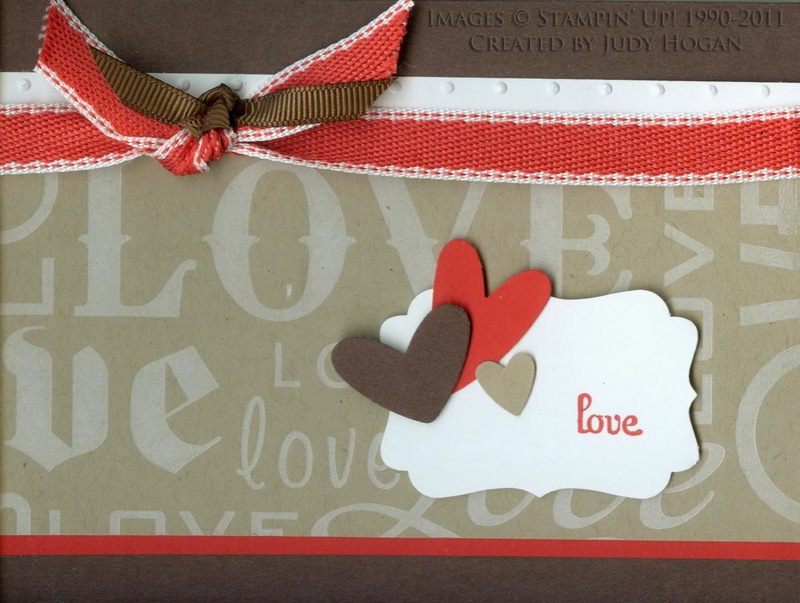 Judy has used both craft and classic ink on the letterpress plates. She finds that either type of ink works when she uses a rubber brayer to apply the ink. The letterpress plate debosses the image so that it also adds texture to the card.